The $80 million tax incentive has been given the go-ahead for city staffers to create a plan that works. Developer Mike Masanoff says the building will improve housing value and the surrounding community. The mixed-use, transit-friendly building will include office space, a hospitality tower and residential tower with retail space and on-site amenities. 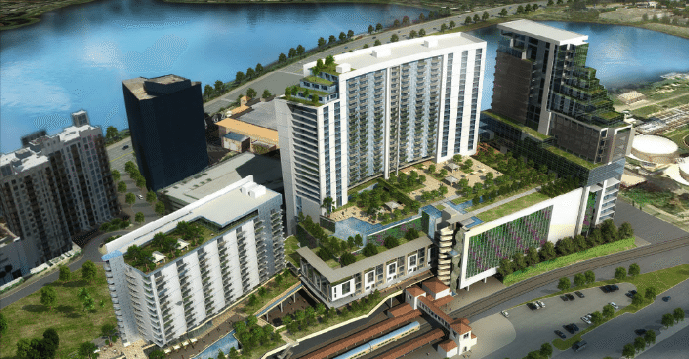 After 20 years of planning, the massive mixed-use, transit-friendly project planned next to Tri-Rail’s downtown station in West Palm Beach is asking for an $80 million tax incentive plan. The project is slated to cost $400 million, and because the project is anticipated to benefit the surrounding community and housing values, the tax incentive would help give developers the green light. Which Latin American country searches for South Florida real estate the most?